Yes, only you can say what meets your bagel-standards, but on the occasion of a new place opening here, we went and tried them all. Seattle has terrible bagels. 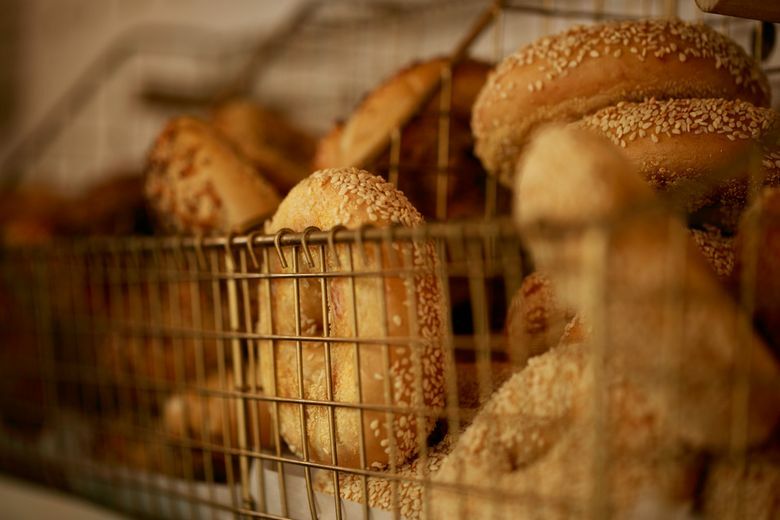 This is the contention of East Coast bagel purists, and they are serious about it — if you think they’re militant about their pizza, try bringing up bagels. No Seattle bagel even approaches acceptability! They are too big, too bready, too tall, too fat. Their outsides are dull, soft, lacking the lovely gloss and slight crackle that, in part, separates a bagel from a mere doughnut of bread. Their insides mush, like Play-Doh, instead of springily supporting every dense-yet-tender bite. Their very holes are treated in a cavalier manner, often allowed to become disappearingly small. In all likelihood, they’re made all wrong. Is it possible that the very water, different here from back East, plays a role in the terribleness? And so on. For purposes of comparison, I collected bagels from seven different Seattle-area places (all I could find), transported them ASAP to the office by car or bike (freshness matters), and conscripted various people to help taste-test them (on the premise that all bagel-opinions have value). 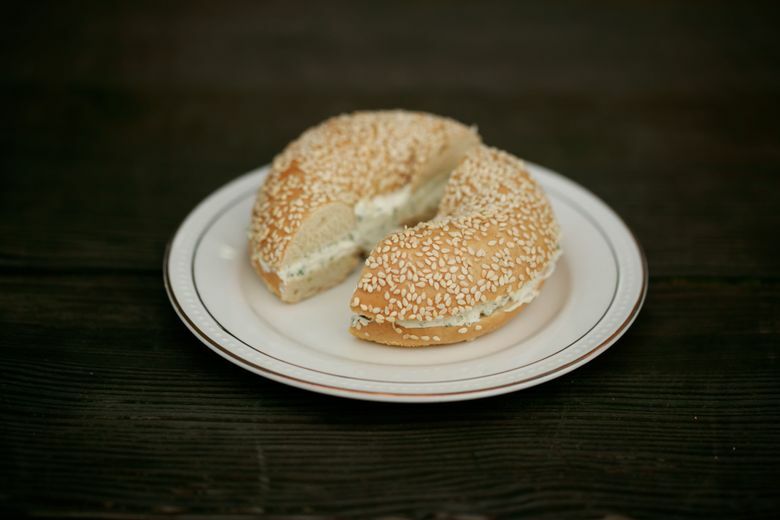 The test-bagel flavors were sesame, salt and everything, and they were procured with cream-cheese spreads along the plain, scallion and/or lox lines. We tried a lot of bagels. Bagel Oasis, also in Ravenna, also suffered from inconsistency: One bagel was nicely browned, another very pale, while their ample height and girth made them prone to pastiness at the core. Local Redmond-based chain Blazing Bagels also makes them big ’n’ tall, but has consistency nailed: They make more than 7 million (!?) bagels a year, so they should. Blazing’s specimens had the advantage of actual flavor and a visible crumb (rather than gum), but a bagel-authenticity stickler would still absolutely reject their squooshy texture. At Seattle Bagel Bakery in Pike Place Market (also in Tukwila), the man seemed shocked that I did not want my bagels toasted. “We toast them automatically,” he said. They used to have a sign to that effect, he noted, but it had blown away. The bagel purists will tell you that a good bagel doesn’t need toasting; toasting is for day-old bagels or, in desperate times, to help mask a bad bagel’s flaws. Why always toast? “It just tastes better,” he said. I declined, but probably shouldn’t have. These bagels were pale, doughy, almost without holes, mushing down densely when chewed. 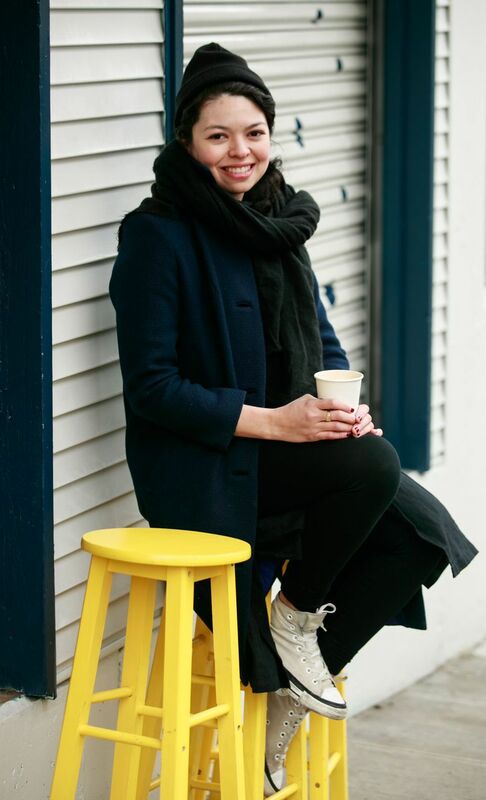 Their exteriors were matte; the flavor was neutral. They tasted like a bagel you’d get in a bag at a grocery store, or in a conference-room meeting where you question your life choices as the time ekes away. Roxy’s Diner in Fremont also serves these, and we tried some from there, too, for good measure. One person I fed them to had tried the first batch as well; I didn’t tell her where they were from until she looked awfully sorrowful after just one bite. Big Apple Bagels in Bellevue smelled a little like that chemical-baking scent that drifts outside a Subway, and it proved to be a franchise that no one I know has ever heard of. The bagels tasted … franchise-like. 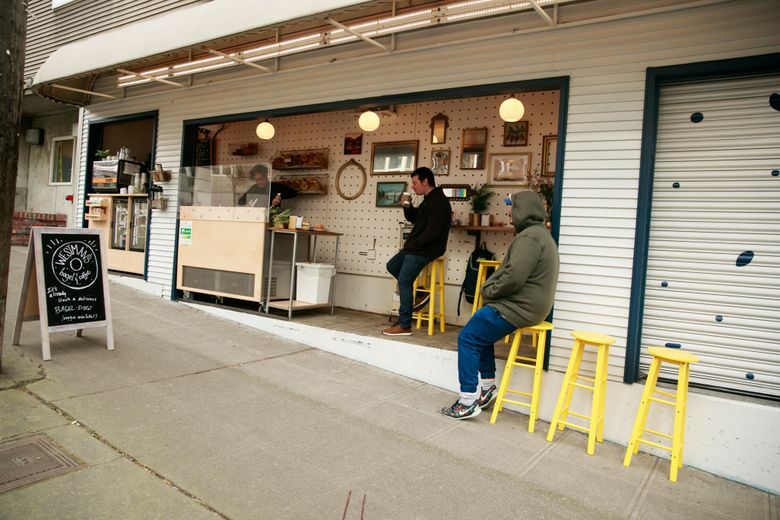 Standard Bakery, an indie up near Northgate, sounds like it’s doing everything right — hand-forming, resting overnight, boiling then baking — but for now, they’re only making them on weekends, so for everyday-bagel-eating purposes, they were disqualified. 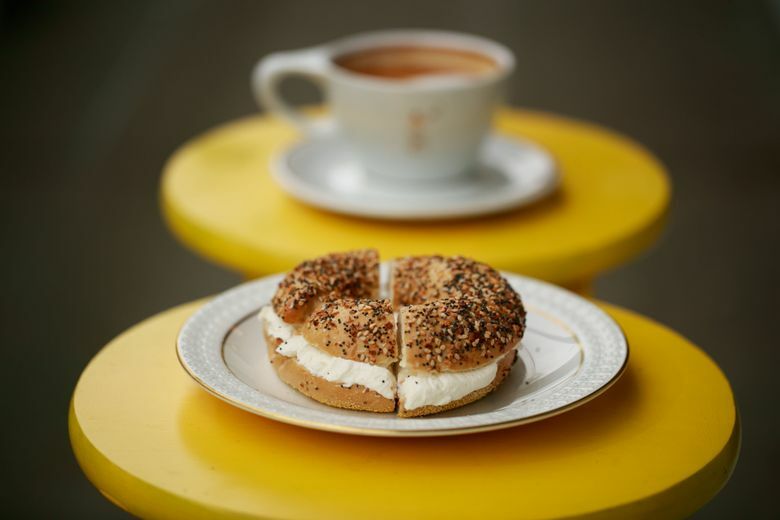 Can a resolutely non-New-York-style bagel be good? My taste-testers and I would argue, strenuously, yes, in the case of Eltana on Capitol Hill, on Stone Way and at the Seattle Center Armory. 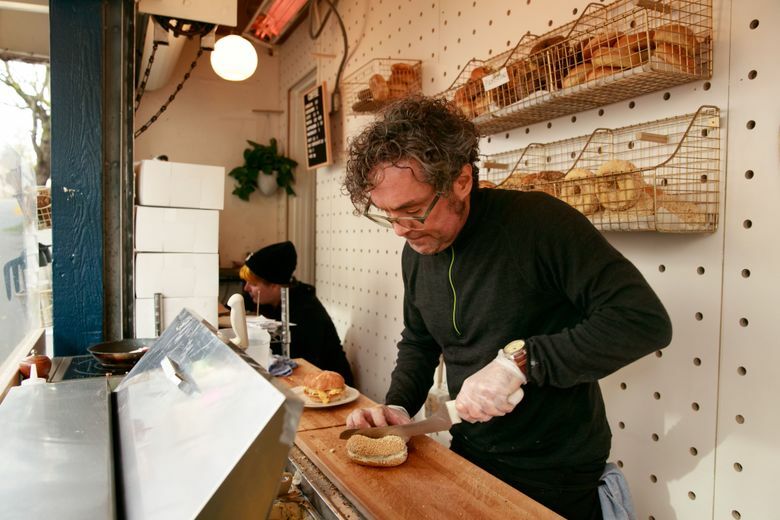 These bagels get wood-fired, in the manner of Montreal ones, and they’re odd-shaped, on the thin side and a bit small (“the slider of bagels,” one taster said). But they’re plenty filling, and the firing gives both the bagel and the toppings (applied, lovingly, to all sides) an extra toasty flavor. The exterior has an ideal slight crunch, while the inside has a lovely dense springiness — they are a pleasure instead of a burden to chew. Also in Montreal style, Eltana’s bagel-boil includes a little honey, but you don’t taste sweetness, just a flavorful bagel with the right amount of salt in the dough. Fun fact about Eltana: These bagels might just become big in Japan. After an investor there got in touch, the owners are opening three shops in Osaka right now, with more to follow if they catch on. Our initial Westman’s taste-test bagels were fat and dense, but with a good, tight honeycomb of very small air bubbles inside and a very pretty dark-gold exterior. The chewiness walked right up to the edge of too much, but didn’t cross the line. (Tip: The dill and black pepper schmear, which may sound over-fancy, tasted fresh and almost floral, and even avowed dill-dislikers loved it.) After eating all the other bagels around, we went back for more, to remind ourselves of their goodness. Take two, turned out, involved bigger, doughier bagels that were a little bit of a chore to chew. Seems like Westman’s might still be dialing it in (and anyone can have a bad day, especially when it starts at 4 in the morning). You’ll have to try it yourself anyway — only you’ll know whether it meets your bagel-standards. 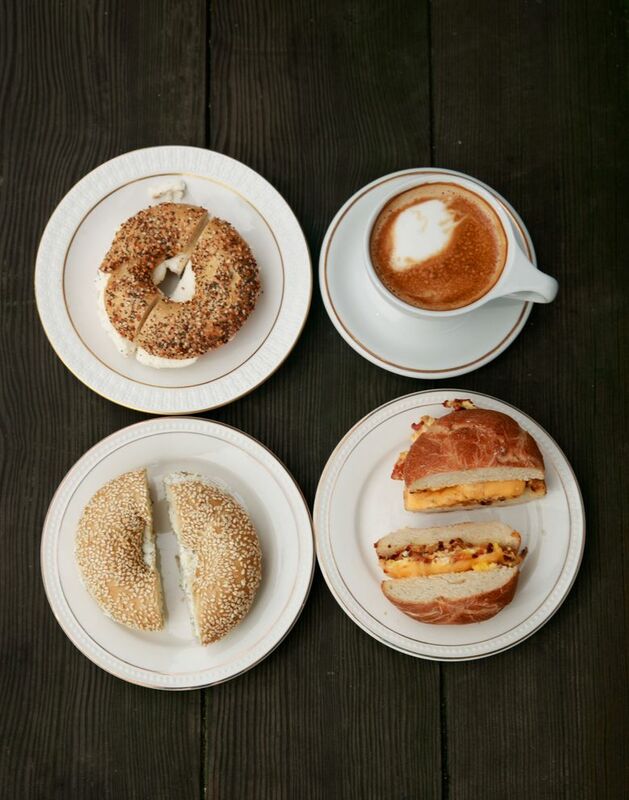 Just get there early: They’ve got a limited bagel-making capacity for now, and they’ve been selling out, sometimes by just after noon.